It’s everyone’s dream to own a home. Homeownership comes with a lot of excitement, especially if you’re a new homeowner. For the first time, you’ve just moved into your own home. And the words leases, renting and a landlord cease to exist in your personal dictionary. However, if you’re not careful, you might be in for a surprise; spending money on unnecessary things. With insurance, mortgage, homeowners’ association fees, property taxes, etc., your spending can balloon up if not watched. As a new homeowner, you’re bound to get tempted to spend on certain things that only end up wasting your finances. You can either do away with these expenses or minimize what you spend on them. Buying a home with less than 20% down payment comes with additional expenses for new homeowners. Private mortgage insurance charges at least $100 extra every month without any returns, apart from the monthly mortgage you’re expected to pay. Only make additional mortgage payments within the first few years of mortgage repayments. As a result, you get to pay reduced mortgage lifetime interest. Get rid of the private mortgage insurance as soon as possible. First-time homes are often larger than anywhere else you’ve lived. For instance, moving from a-one-bedroom house to another with three bedrooms with more space in square footage can be overwhelming. With a lot of empty space, you’ll most probably consider buying furnishings to fill up the spaces. New homeowners often buy new furniture to fill up the extra space in their new home. Before you visit a local furniture store, ask yourself whether the purchase is really necessary. With all the expenses you already have, buy additional furniture at a later time when you have the money to fund the purchases. Actually, you can work with the furnishings you already have to create a haven in your new home. All you have to do is conduct some research to find out a suitable design style and theme that can go well with your existing furnishings. If you’re worried about the empty spaces in your home, consider a minimalist interior space. Your home doesn’t have to be full of furnishings from corner to corner for it to look appealing. Having a few spaces here and there can give your home a clean look with a modern touch. In short, work with what you have to avoid unnecessary expenses that only increase your financial burden and debt. Otherwise, you’ll only accrue additional debt yet they can be avoided. New homes usually come with cheap, inefficient electric products such as light bulbs. The kind of windows and doors in newly purchased homes are also often poorly insulated. Furthermore, lack of air sealing can also be a big problem with new homes; in winter, they let out warm air and in summer, cool air escape outside. 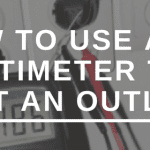 Conduct a home energy audit to identify the specific areas experiencing poor energy efficiency. Although you can do this the DIY-way, seek the help of a professional if you aren’t sure about what should be done. You can save so much money by fixing areas around your new home with inefficient energy. New homeowners tend to get offers from insurance companies to get their appliances insured against defects and other natural failures at a certain monthly fee. Instead of paying premiums, keep the money in a savings account for use when you’ll ever need to replace any of your appliances. In fact, within just a year, your savings will be enough to do any appliance replacement. Many first-time home buyers don’t take their time when looking for a good homeowners’ insurance. In most cases, they use the first insurer recommended to them by the real estate agent. Usually, agents refer insurers not because they have the best policy packages, but simply to help a friend or someone they know get a new client. After settling in your new home, it’s important to shop around and make comparisons to find the best homeowners’ insurance providers. Investing your time in a search can actually see you find an insurer with premiums that are up to 30% cheaper, saving you some money. New homeowners often fill their minds with many ideas of how they can improve their lawn and landscape to further enhance the appearance of their homes. Lawn service providers are aware of this fact. Therefore, they never hesitate to approach new homeowners, showing them images of perfect lawns and how theirs can look just like that. What most homeowners don’t know is that the lawn services they pay for are things they can easily do on their own. With some time to spare, all you need are fertilizers, herbicides, a few tools and a watering can to get started. Caring for your lawn the DIY-way is far more affordable than using the services of a company. Furthermore, lawn care and maintenance isn’t just easy, but also doesn’t take much time. 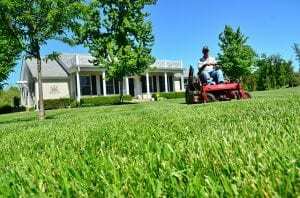 When your finances improve later on, you can hire a professional lawn care and maintenance services provider to improve on what you already started. Although DIY lawn care might seem difficult, the converse is true. The only thing you must do, is get started. Buying a new home is exciting for both new and existing homeowners. However, new homeowners are often faced with certain difficulties that might turn their excitement into bad debt. As a new homeowner, you need to track your spending. After paying a lot of money for your down payment and with monthly mortgages to pay, it’s only logical to only spend on important things. Fluke 116 vs 117: Which one is best?